Supply Chain Systems (SCS) Florida manages vendor inventory for Trane located in Lynn Haven. SCS operates three local warehouses for parts and one secure drop yard facility for finished units. SCS maintains all Trane manufacturing lines over two shifts with parts runners, operates a trailer spotting service over two shifts, all while shuttling finished goods to the drop facility. This secure drop facility is used and available to all approved Ingersoll Rand Carriers. The SCS drop facility maximizes trucking efficiencies by opening the pickup window to all carriers. 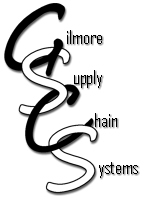 Supply Chain Systems provides end to end supply chain solutions for the manufacturing industry. Our capabilities include all levels of transportation, warehousing, line-side parts delivery, and material flow-through. Our end-to-end Supply Chain Management solutions are flexible and scalable with visibility throughout the entire supply chain process. We operate with honesty and integrity while focusing on vendor specific supply chain requirements with special emphasis on comprehensive cost adjectives. Utilizing our vast transportation capabilities, Supply Chain Systems can transport a client's one load or manage complete pool distribution / consolidation including Land, Air, Ocean, and Rail Services. We provide our clients with scalable over the road contractual services and operate dedicated on-site contract fleets including drop yard services. We are an asset light Company and contracted with over 16,000 private, common, and contract carriers throughout the domestic United States, Mexico, and Canada. SCS offers all customers a variety of cost efficient integrated solutions and understands the importance of technology. Our interface capabilities are secure, dependable and second to none. Supply Chain Systems offers all customers a variety of Global integration solutions. Our VMI team provides global supply chain consulting and inventory services to our partners and their suppliers, including transportation management, integrated logistics, lead logistics management, carrier, and shipment management, dedicated contract carriage, sequencing, kitting, component sub-assembly, consolidation/deconsolidation, warehousing, freight payment and audit, line-side delivery and material follow-up. Supply Chain Systems is the one source for end-to-end supply chain solutions. So call us today to increase productivity throughout your supply chain!